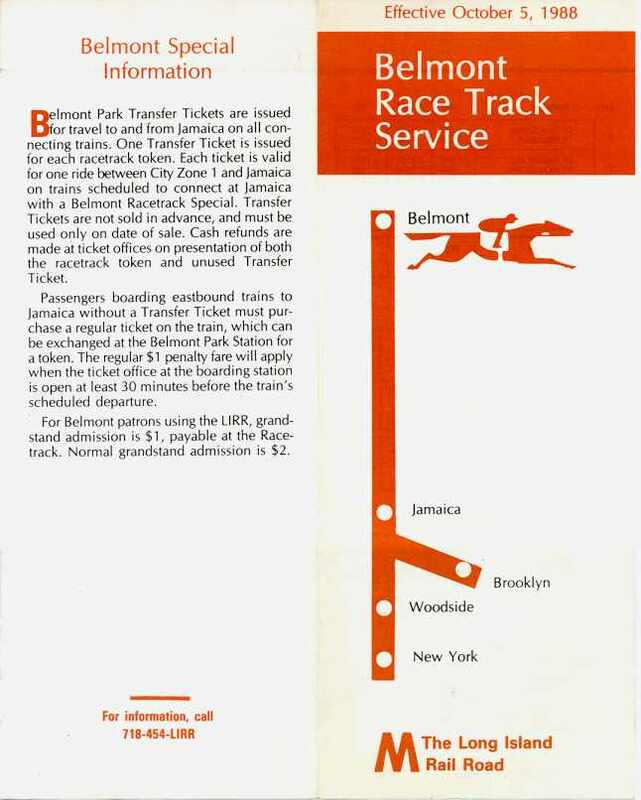 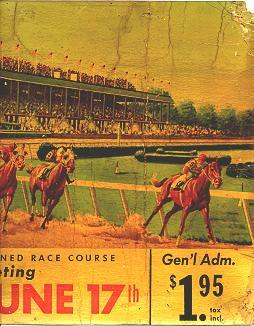 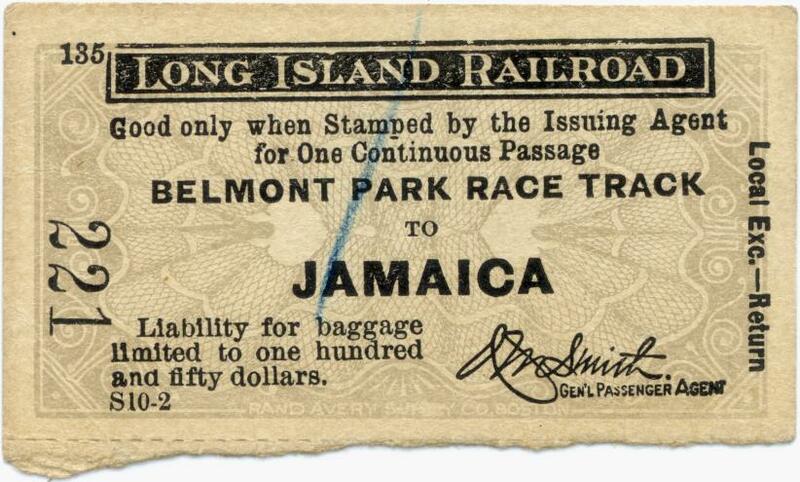 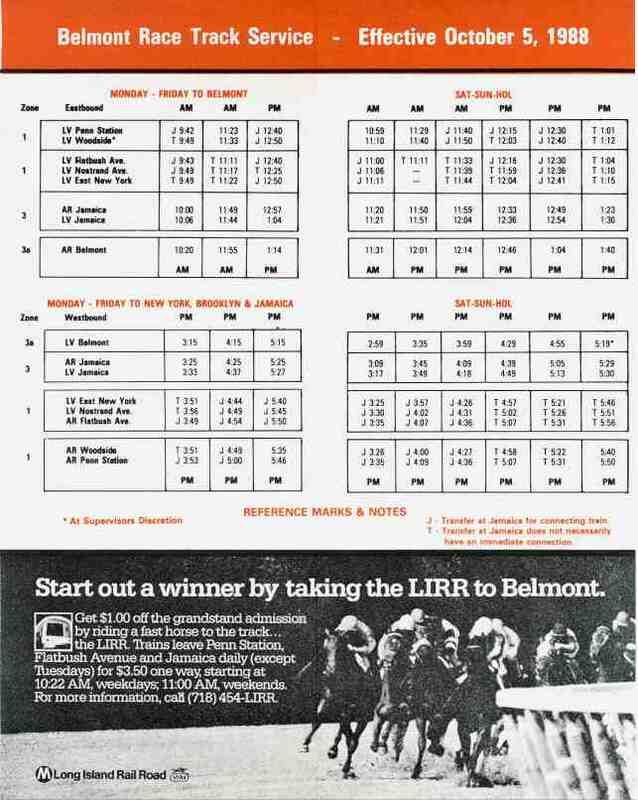 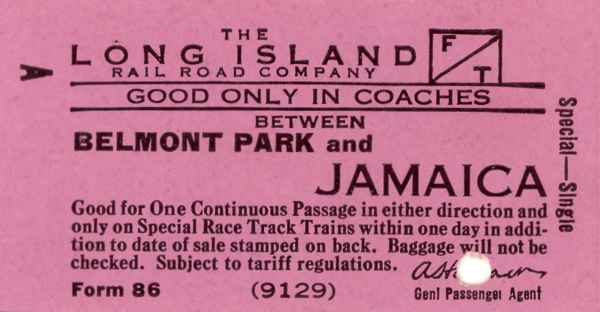 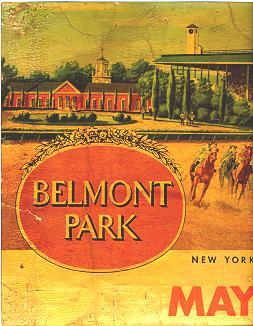 BELMONT PARK RACE TRACK OPENED IN MAY 1905. 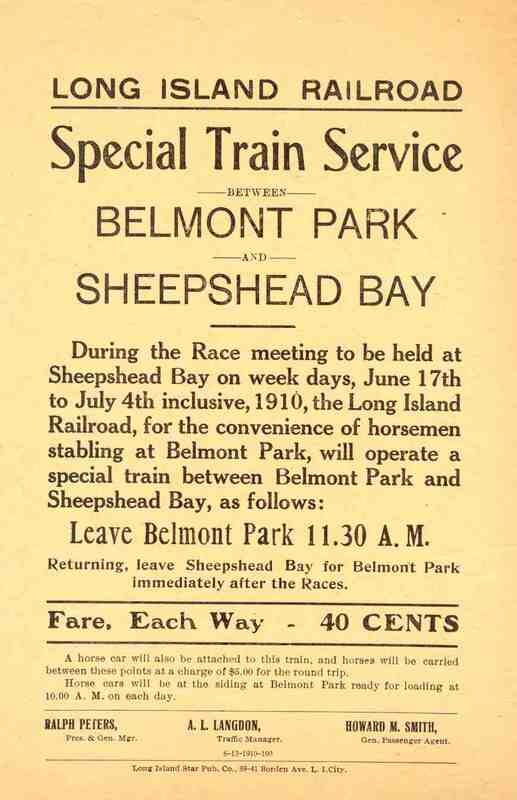 IN SEPTEMBER 1905 THE TRACKS APPROACHING AND IN THE TERMINAL WERE ELECTRIFIED. 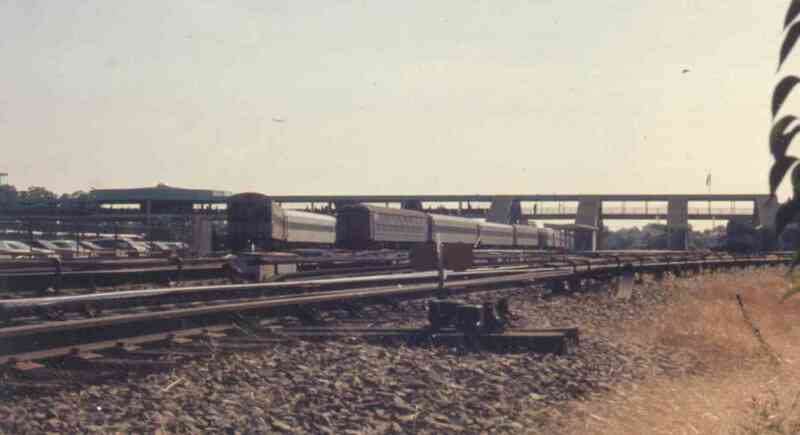 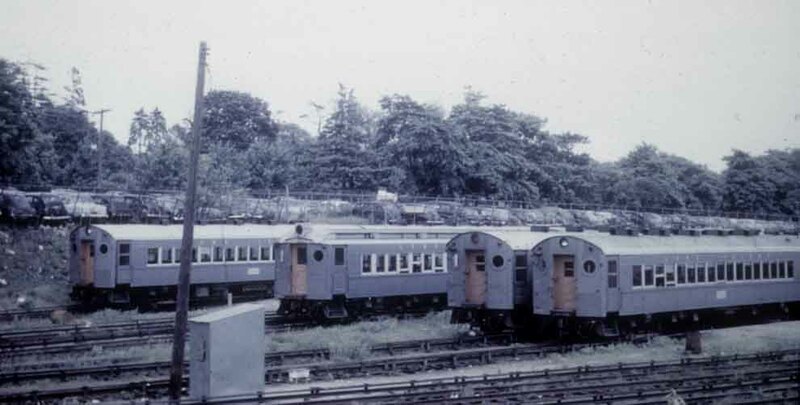 WOOD TRAILERS ON THE FOUR TRACK SECTION BETWEEN "QY" CABIN AND "BM" TOWER. 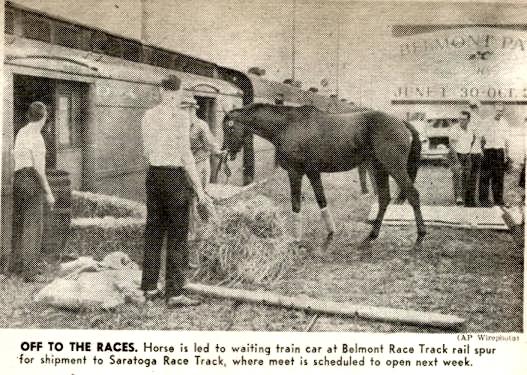 BELMONT PARK RACE TRACK TERMINAL 1905 - 1910. 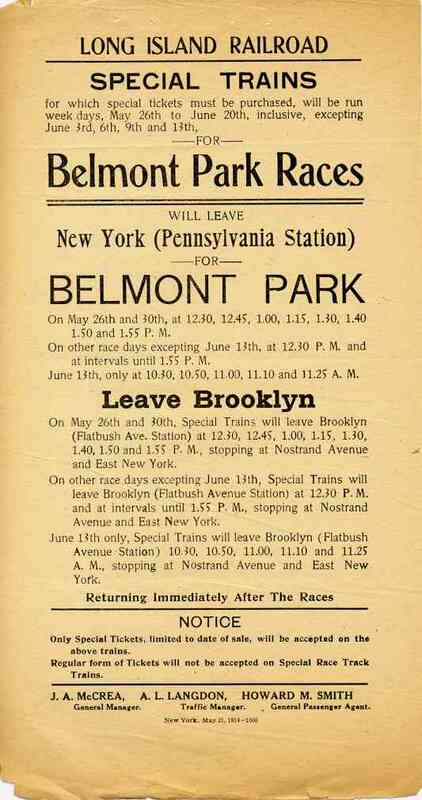 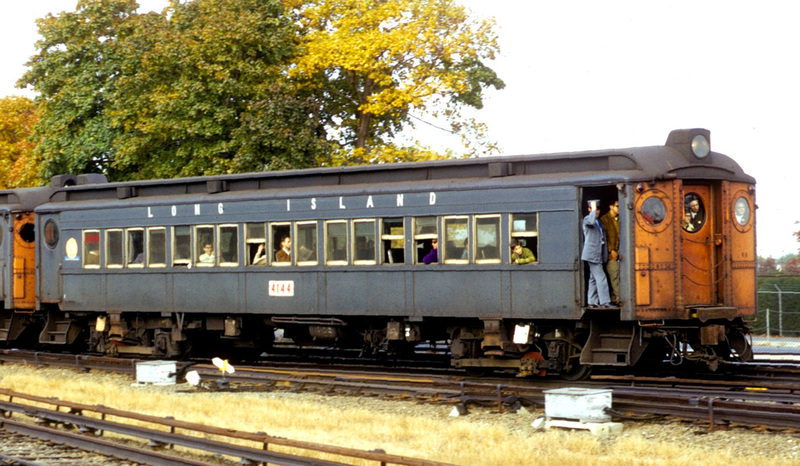 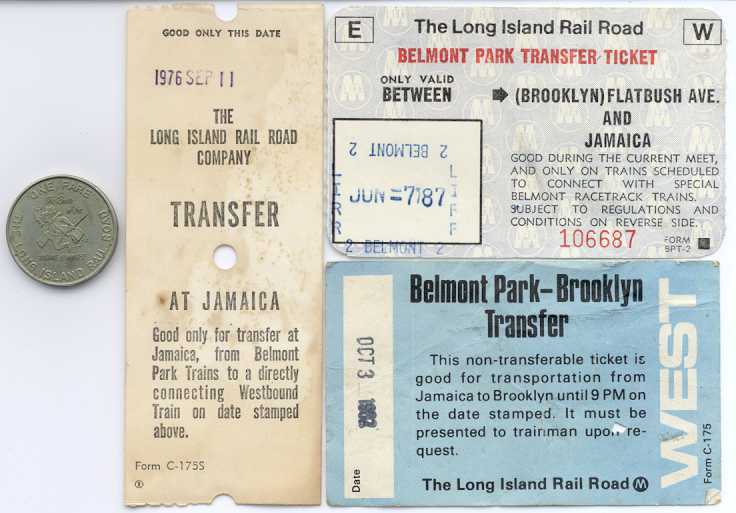 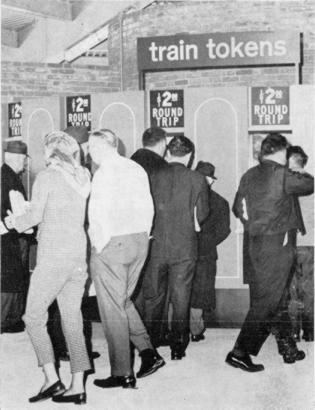 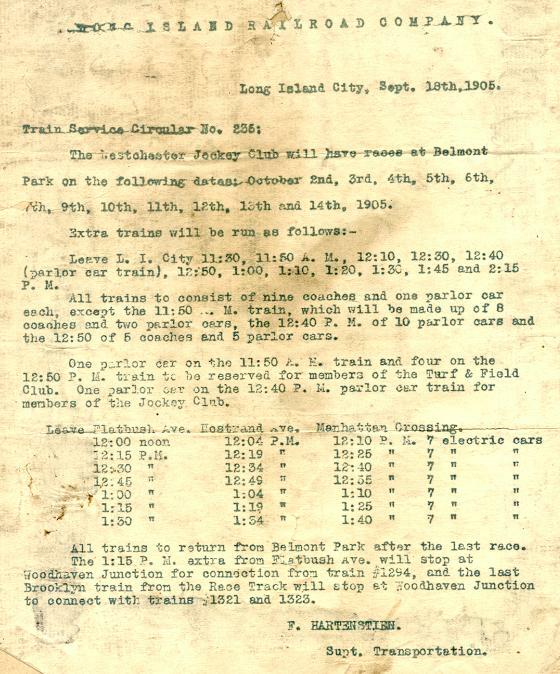 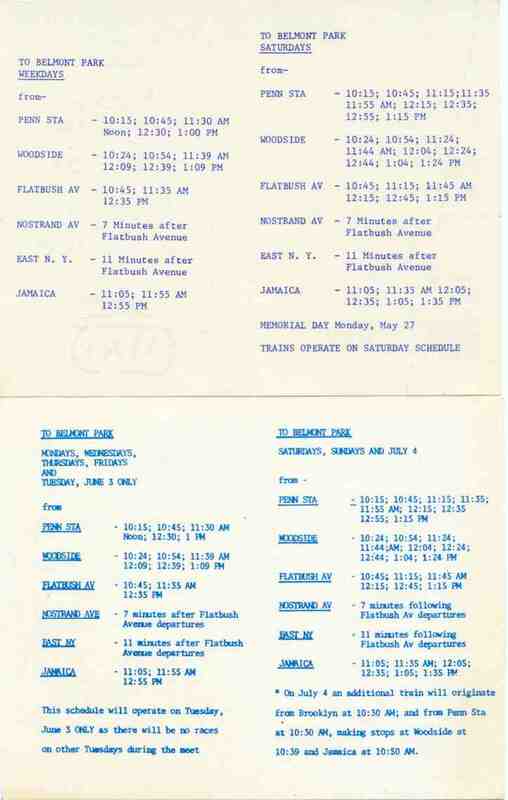 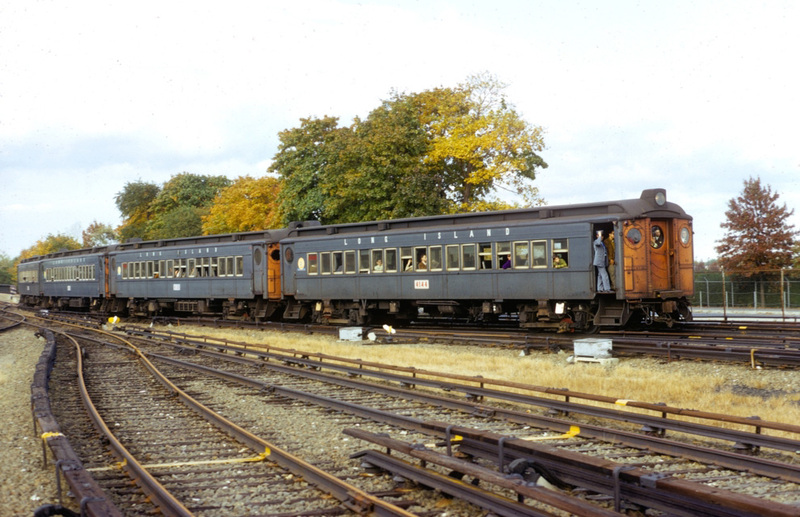 STEAM TRAINS to LONG ISLAND CITY and ELECTRIC TRAINS TO BROOKLYN. 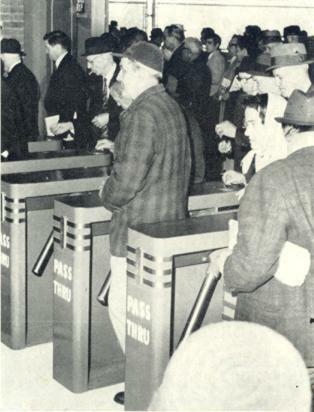 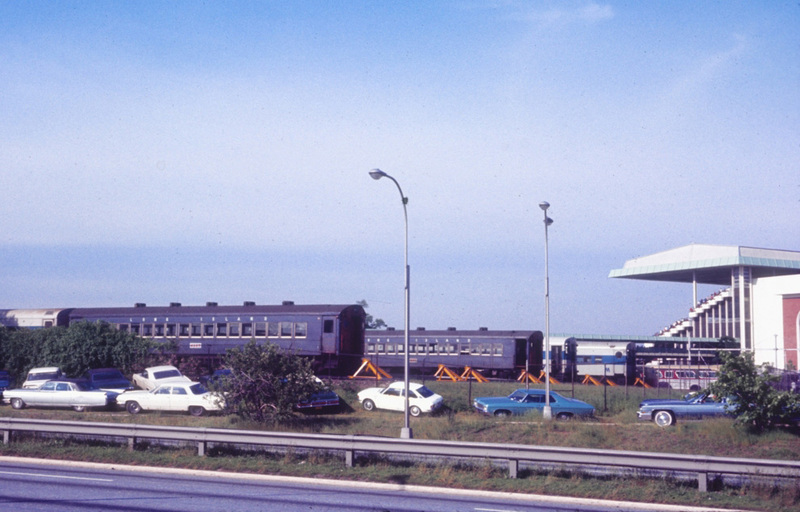 THIS TERMINAL WAS SOUTH OF HEMPSTEAD TURNPIKE. 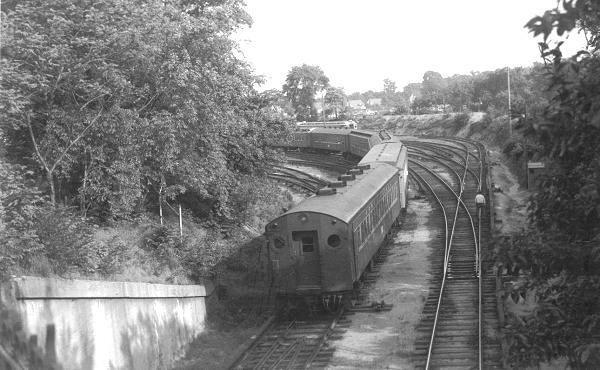 THIS 1950 VIEW COURTESY OF DAVE KELLER IS LOOKING NORTH FROM HEMPSTEAD TURNPIKE. 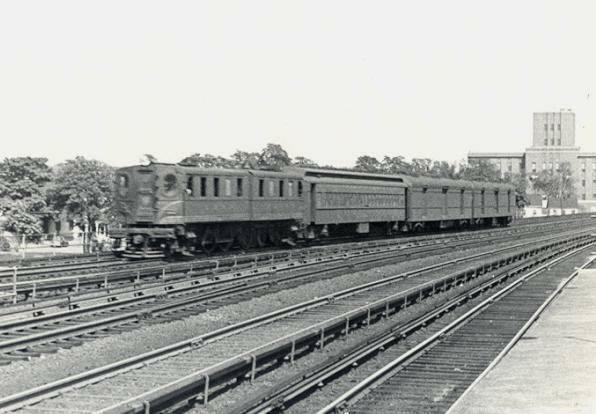 THIS 1950 VIEW COURTESY OF DAVE KELLER IS LOOKING SOUTH FROM HEMPSTEAD TURNPIKE. 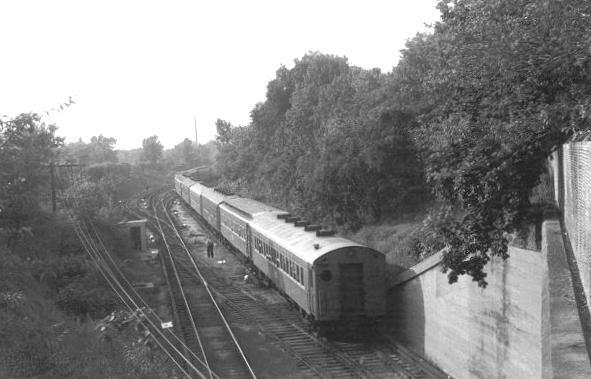 THIS 1950'S VIEW COURTESY OF GERALD H. LANDAU IS LOOKING NORTHEAST. 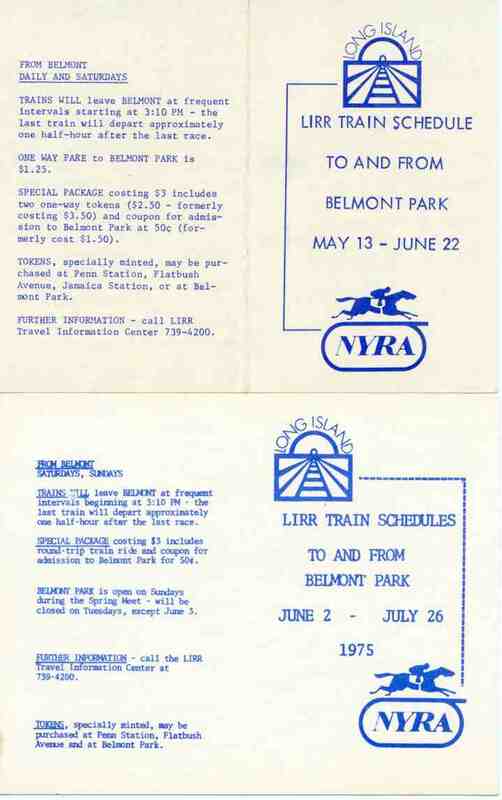 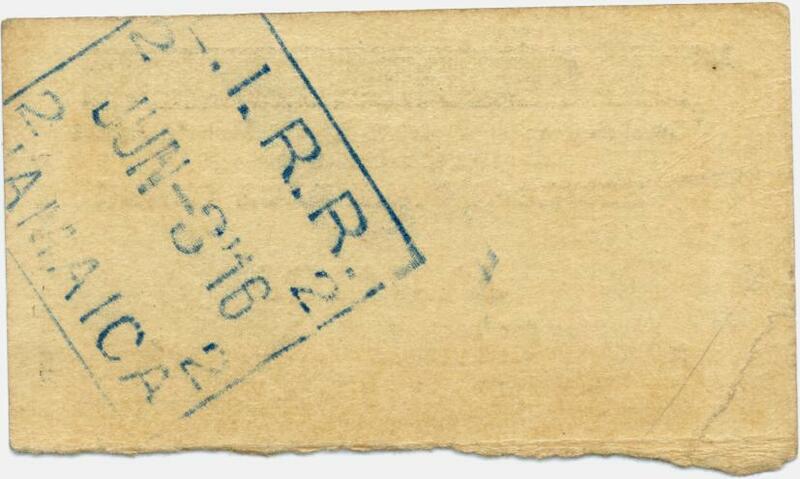 PARK HORSE EXTRA WITH A P.R.R. 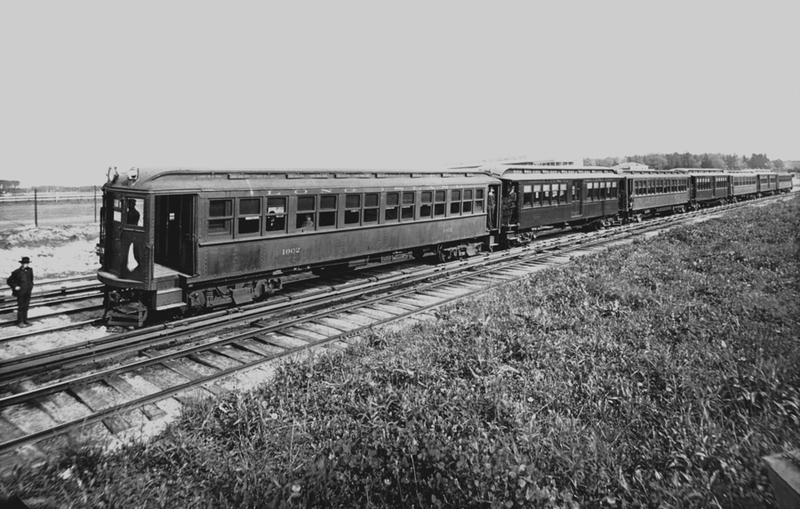 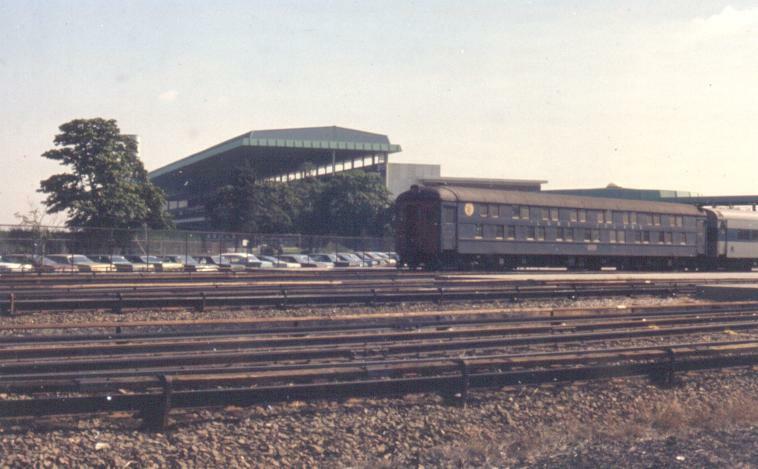 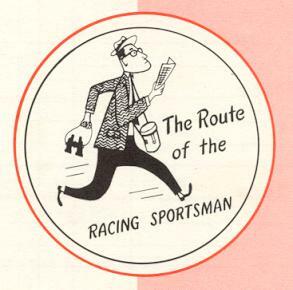 P70 COACH AND TWO HORSE PULLMANS.